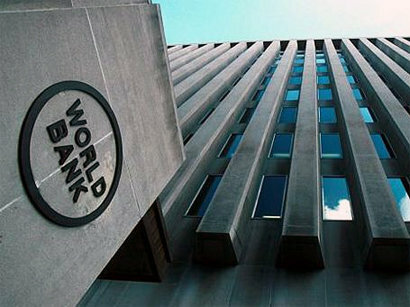 The Board of Directors of the World Bank (WB) will allocate a loan worth $410.7 million for Uzbekistan to implement two projects in the agricultural sector. The bank will allocate $150 million from the funds of the International Bank for Reconstruction and Development (IBRD, part of the WB) to the project on the development of horticulture sector, and $260.72 million to the project on the improvement of water resource management in South Karakalpakstan, the bank said. The project envisages supporting the development of small and medium-sized enterprises operating in the field of agricultural production, through technical assistance, creating new working places in the manufacturing, trading and export sectors of agro-industries. The project of horticulture sector development will be implemented in Uzbekistan's eight regions. The project on the improvement of the water management in South Karakalpakstan is the rehabilitation of irrigation networks and the improvement of the water management practices in one of the poorest regions of Uzbekistan in order to make them sustainable and financially effective. The project will remove the current dependence of the farmers in the project area on energy-inefficient pumping by developing a gravity off-take from Tuyamuyun reservoir and dismantling all lower Amu Darya pumping stations currently serving the project area. It will strengthen institutions and capacities, and improve performance of public irrigation and drainage service delivery. The WB experts believe more effective water resources management and irrigation will lead to increased agricultural productivity and its steadiness to climate change. The implementation of the project will save 10 million cubic meters of water resources annually and by reducing the cost of mechanical watering will cut electricity costs by $2.39 million. The projects are part of the strategy of the WB group partnership with Uzbekistan for 2012-2015, aimed at assisting the country in the diversification of its agriculture through high value crops, intensification of crop yields and agricultural productivity as well as improving the efficiency of infrastructure and economic competitiveness. Uzbekistan joined the WB in 1992. The WB's mission in the country is to improve people's livelihood by supporting economic reforms, contributing to the modernization of the country's social sectors and infrastructure, and sharing its knowledge and experience with the government and the people of Uzbekistan. The WB's current commitments to Uzbekistan amount to over $1 billion.